UScreenCapture is a general-purpose filter that allows capturing of computer screen. After the installation of this component you will be able to stream your desktop window or part of it. This filter can also be used with any video editing or recording application. 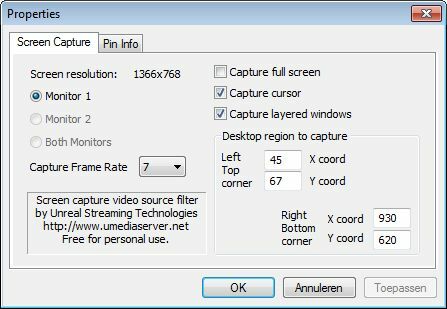 Capture frame rate and desktop region to capture can be configured. Dual-monitor systems are supported.